A few weeks ago, I drove to Illinois for a chemical process safety workshop hosted by ADM. 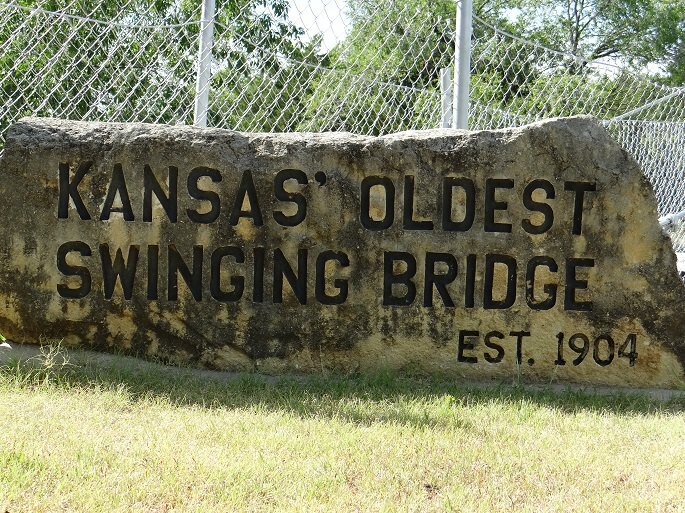 Along the way, we passed through the town of Moline, KS, which boasted to have the “Oldest Swinging Bridge in Kansas.” We had a little extra time on our hands, so we stopped and visited the site. It was easy to find from the main road, as there were signs everywhere pointing us to the bridge. Here is a link to the official website, which contains maps, photos and a bit of history. 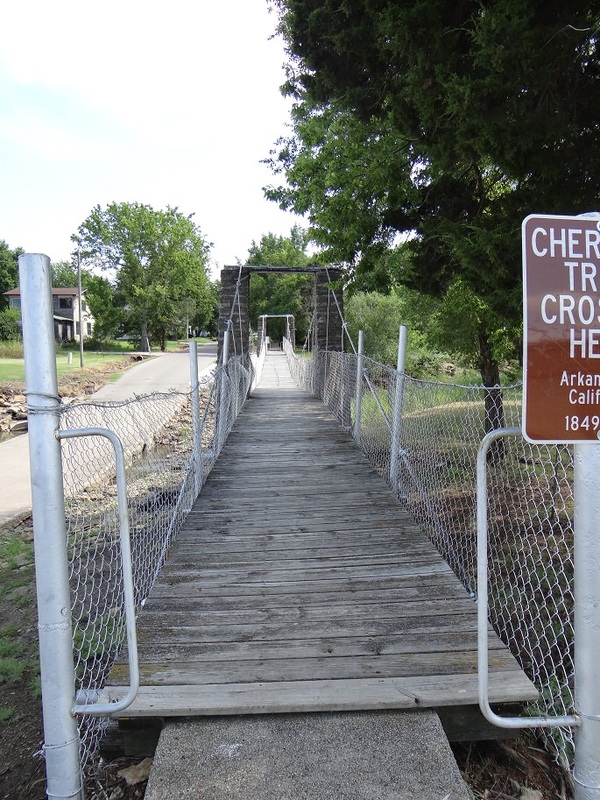 We walked across the bridge (of course), took our photos, found a geocache under the bridge and played in the crawdad and fossil filled creek below. I intended to stop for ten minutes, but we spent almost two hours looking at the wildlife in the creek as well. 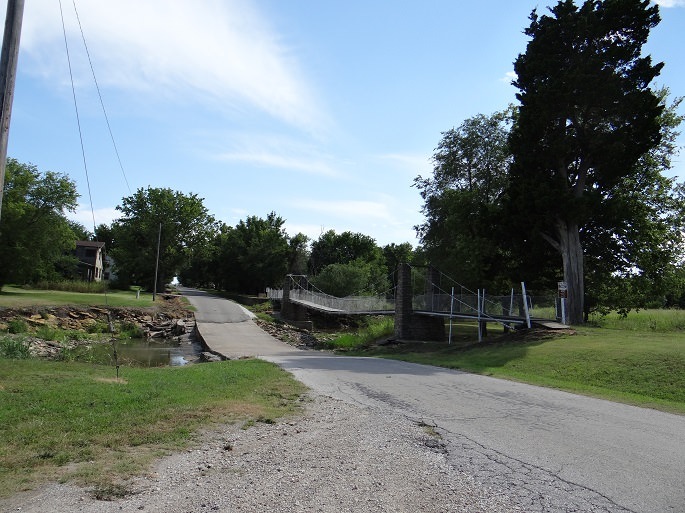 Next to the swinging bridge was a concrete roadway with metal culverts, but I bet this street floods frequently. There is quite a bit of movement from the old bridge as I walked across. Perhaps it’s time to go on a diet! 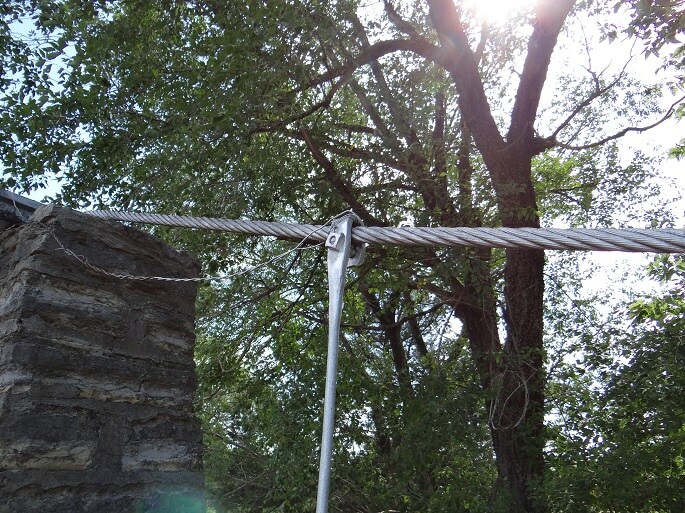 The hangers have a forged end to wrap over the suspension cable, and then a bolt to keep the cable in place. I highly recommend taking a few minutes and seeing the bridge yourself. It has been far too long since I investigated a ghost town. Now that I have moved to Sandoval County, NM, from Socorro, NM, there are new ghost towns to explore. As the weather cools off and the monsoon season rains decrease (less mud to drive/walk through), I will look into some places to explore. If I combine this with my geocaching hobby, this could be a lot of fun. Thank you for reading my very short post. If you know of anywhere in NM you would like me to explore, post it in the comments. The Society for Industrial Archeology (SIA) Fall Tour information is now available and registration is open. SIA Fall Tour 2017 will be held in Nashville, TN. I am working out some logistics to see if I can go this year, and I should know for sure in the next two weeks. I am hopeful, but there are some things to work out. Thank you for reading my brief post.